Whether you are suffering from back problems, due to Poor posture or otherwise, or you been the victim of a road traffic accident and are struggling to recover, Physiotherapy can help you. Physio Wellbeing offer a sale physio clinic to patients suffering from a variety of different injuries and ailments. 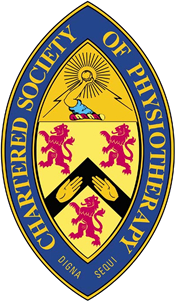 We pride ourselves on offering an holistic approach to physiotherapy, treating a variety of different conditions and specialising in sports injuries, recovery from RTA’s, Biomechanical, Senior Citizen Rehabilitation and much more. I’ll clinic is accessible easily, and we take pride in offering a facility that not only offers a calm and tranquil environment, takes advantage of the variety of technological advancements that have been made in our industry. We also pride ourselves on training staff in these new innovations, and when you choose treatment from Physio Wellbeing, you’ll always be taking advantage of a wealth of knowledge and experience in the industry, which will be applied to your treatment to make sure it is the best one available. There truly is no better place to go if you’re looking for a physiotherapist in Sale, no matter what your ailment. We specialise in many different areas of physiotherapy, so can offer treatment for a wider variety of complaints than many other treatment clinics. If you’re looking for treatment, or advice on an injury or ailment, then why not fill in the form below and one of our friendly staff will be happy to discuss your needs.